Hubert Gruber would approve of this. Ferdinand Porsche may be most famous for the sports car company that bore his name, but the Austro-Hungarian engineer had a bit more to his CV than this. He was heavily involved with the hugely succesful and racing cars, was the brains behind what and also helped design some during WW2. One piece of army sur you might not have expected to be associated with Porsche, though, is the Beetle-based vehicle you see here. Though technically classified as a Kubelwagen via its 'Type 823' designation, this diminutive little thing that's surely ranks up there as one of the most bizarre war machines to ever be assembled. Admittedly, it was never truly intended to be anything close to a legitimate battle tank (depending on who you ask, the 823 was either a training vehicle stepping stone to the proper Panzers, or a 'Panzerattrappe,' or dummy tank, to fool the onlooking enemy), but the scant armor cladding, fixed turret and 'Panzer Gray' paint scheme does at least give this 'KdF-Panzerwagen' of sorts at least a passing resemblance to the more well-known German armored vehicles from the Second World War. Given it's an incredibly obscure device, little concrete info is known on the Type 823. Not much is known about this particular vehicle's history, other than it was originally part of the 's collection and it probably is isn't 100% mechanically authentic to the original Nazi Germany-era specification. 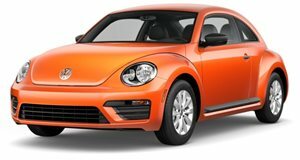 The engine doesn't work, isn't original and is understood to be derived from a production Beetle from the 1960s, and the advert didn't disclose anything about the condition it's paired to either. Still, regardless of whether the machine works or not, it's still a quirky piece of kit that the military history enthusiast in all of us would love to own if we had a spare $20,000 and the space to keep it.